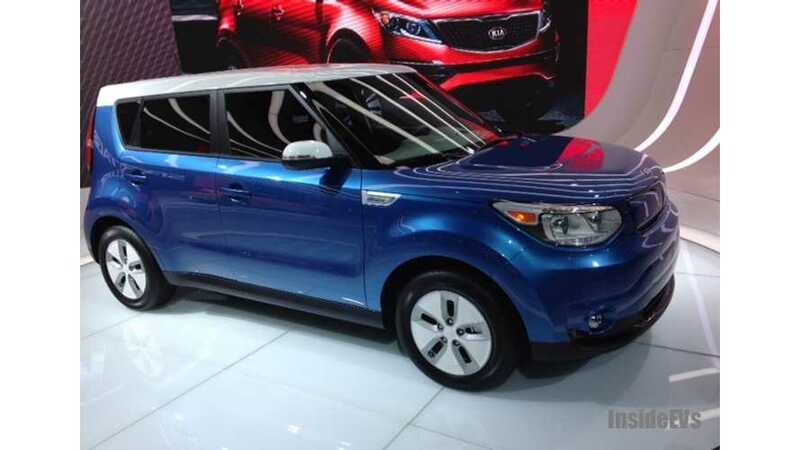 Full Details Released on 2015 Kia Soul EV's "Advanced Battery"
The 2015 Kia Soul EV is set to launch in the US in Q3 of 2014. Aerodynamically shaped 16-inch alloy wheels. 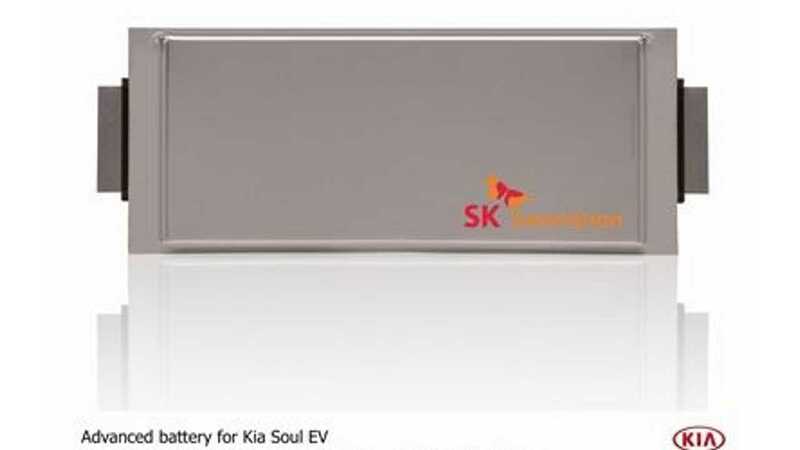 Kia engineers have developed the outstanding power pack featuring 192 lithium-ion polymer battery cells in eight modules, delivering a total battery capacity of 27 kWh. The pack incorporates state-of-the-art thermal control technology to maintain individual cells at optimum temperature and structural design to enhance crash worthiness. Nickel-rich NCM (nickel-cobalt-manganese) cathode material is used in the mass production of the battery cells for Soul EV. Energy density, which is dependent on cathode capabilities, is a core performance factor deciding EV driving range. By exploiting the class-leading energy density of its battery, the Soul EV offers a driving range of around 200 km on a single charge. High performance electrolyte additive and anode materials were also developed to meet various performance requirements, such as safety and lifecycle, while maintaining high energy density. 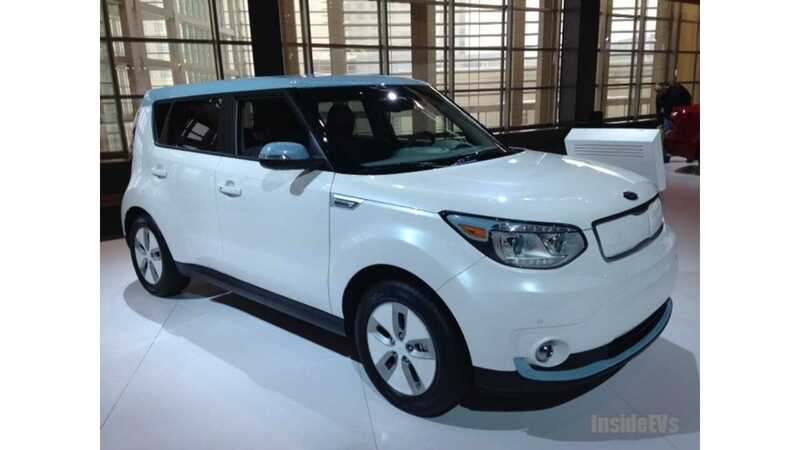 In addition, a special secure separator is used in the Kia Soul EV's battery cells. The separator determines the safety and the charge/discharge speed of the battery. It has improved thermal resistance, which helps to keep the cell secure from exposure to heat or fire by preventing the shrinking of the separator if the temperature of the cell increases beyond normal levels. Together, the low electrical resistance battery cell, proper battery system thermal control and accurate state-of-charge calculation improve the charging performance, thereby enabling an outstanding ‘fast charge' time of 25 minutes (100 kW DC) or 33 minutes (50 kW DC). Full recharge time, depending on power source, takes up to five hours (6.6 kW AC). The electrolyte additive used in the Soul EV will prevent the degradation of battery performance at both low and high temperatures, expanding the temperature range of the battery usage and reducing the fluctuation of the driving range according to the weather. Cold weather is notoriously hostile for a battery and the Soul EV features a battery heating system, which warms-up the battery while the car is plugged into the grid, prior to use. This helps to maintain optimum battery performance regardless of external temperature. For maximum ‘active safety' the battery module is fitted with an overcharge protection device that cuts the high voltage circuit if ever the battery cell swelling phenomenon should occur due to overcharging. Optimisation of the raw materials used to create the cathode morphology control and surface coating, the anode surface coating and electrolyte additive, plus the excellent mechanical strength of the separator, ensure best-in-class durability and safety of the cell. A lithium-ion battery is a rechargeable battery which saves the electric power as chemical energy and uses it when necessary. The lithium-ions move from cathode to anode during charging and from anode to cathode during discharging. The electrolyte is necessary as a medium for the transfer of the lithium-ions and the separator is necessary to separate the anode and cathode electrically. Generally the cathode consists of heavy oxides and can store less electricity per weight than the anode which consists of light carbons. To increase the energy density (energy to weight) of the battery pack it is important to increase the quantity of the electricity stored by the cathode, since the quantity of electricity should be balanced between the cathode and anode. Lithium-ion polymer is the common name for the battery type which uses ‘pouch film' as a packaging material. The name lithium-ion battery refers to the battery type which uses a metal can as a packaging material. The advantages of a lithium-ion polymer battery - over normal lithium-ion batteries - include: greater efficiency due to the simple cell structure (fewer parts), lower costs, increased safety and reliability (thanks to better thermal diffusion and internal pressure control), ease of manufacture in a variety of capacities and shapes. 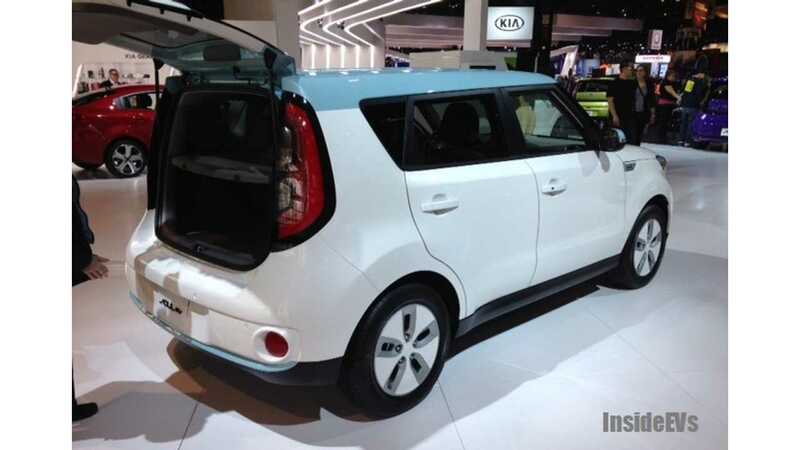 The Kia Soul EV had its global debut at the 2014 Chicago Auto Show on 6 February and will have its European debut at the 2014 Geneva Motor Show on 4 March. 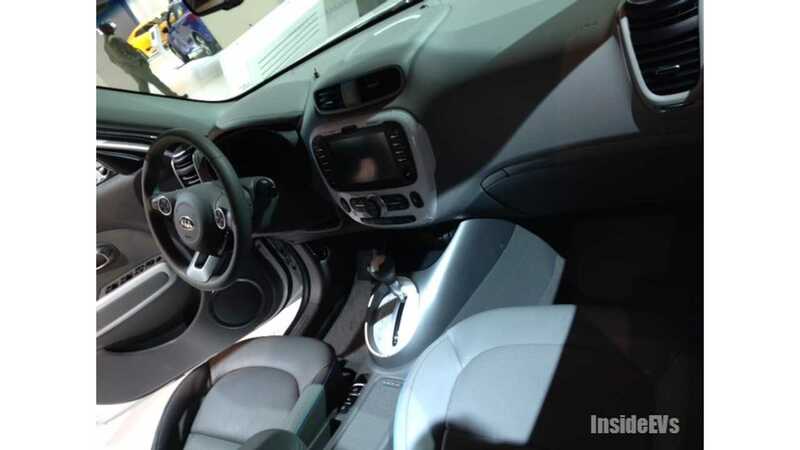 The vehicle is expected to go on sale in European markets, including the UK, in the Autumn.